Requests for proposal are a pain. Many agencies and freelancers are rightfully tired of jumping through hoops just to do great work. But the real problem with RFPs is that they’re often dishonest and set up from the start for a specific company to win. Here’s how you can tell if an RFP is worth pursuing and what to do should you decide to go after one. 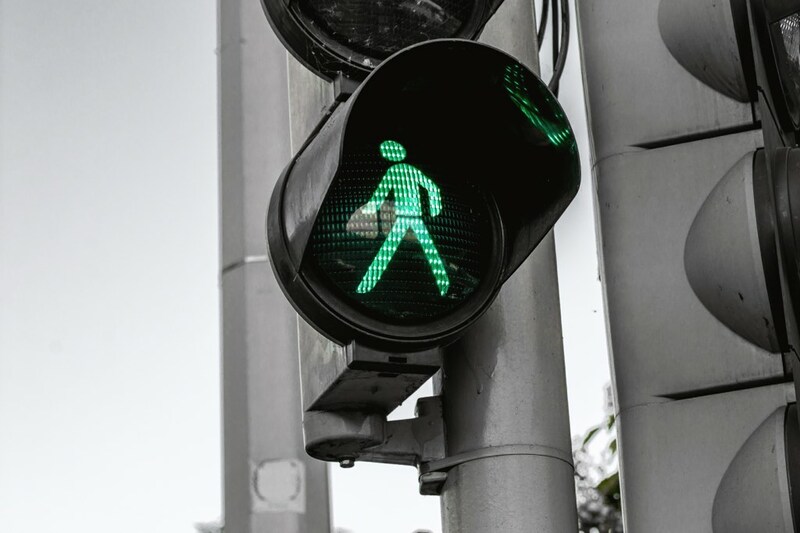 A request for proposal (RFP) offers a convenient way for a buyer to compare a wide range of offers to find the most suited supplier or seller – in theory. In reality, many RFPs serve an insidious function in many companies. Not all RFPs, however. Being able to tell them apart will help you avoid wasting time on RFPs that never lead anywhere. Most RFPs are like loaded dice. The reality is that RFPs are usually staged and set up with a specific preferred vendor in mind. Like loaded dice at a not so well-reputed casino. The game isn’t fair. 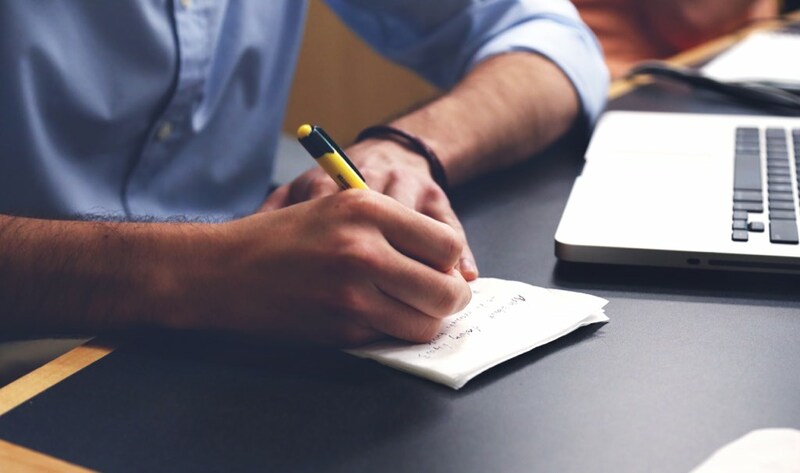 The requirements found in most RFPs (the endless spreadsheet rows with stuff you have to check off on) have in fact often rolled right off the specification sheets of one of your competitor’s offering. To understand how it could be so, it’s important to consider how selling is often done. As we covered in the final part in our series on value-based selling, an important step when selling to large organizations is to win over a champion. The champion is usually employed by your prospective buyer and believes in what you’re offering. He or she is, simply put, your best friend when it comes to convincing your prospective client of the merits and value of your offering. 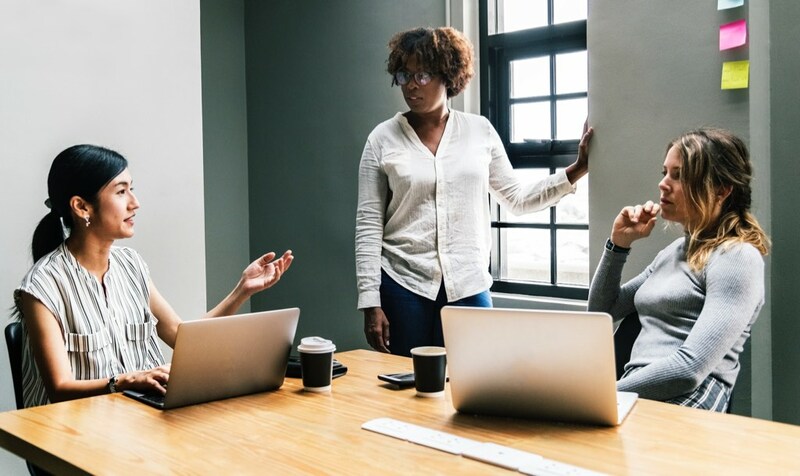 In the case of the RFP, chances are that one of your competitors has established a good relationship with someone influential at the company issuing the RFP. This person is usually your competitor’s champion. This champion believes so much in your competitor’s offering that they have staged an RFP to increase the chances for your competitor to win. 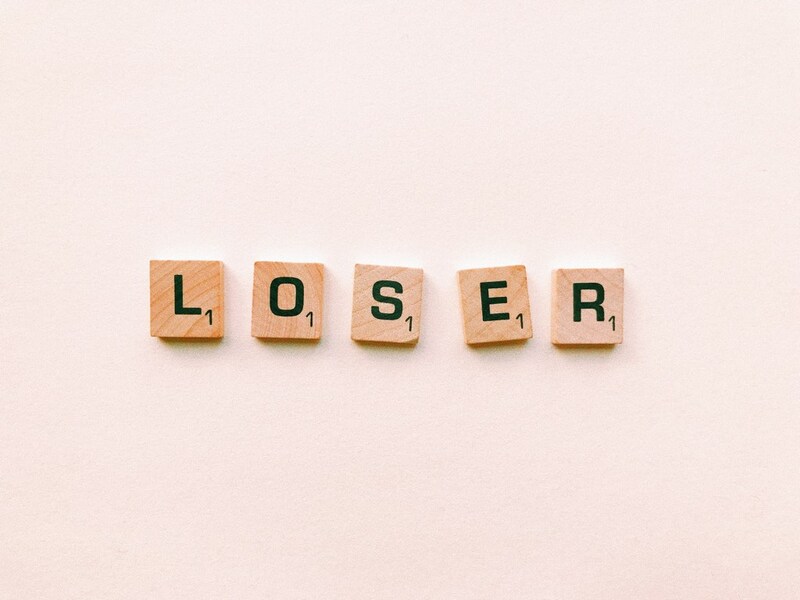 If you respond to an RFP in blind faith, chances are you will be the designated loser. Your role in this farce is to make a credible play as an “inferior alternative,” or so-called “column B” as salespeople say. This means that a fair comparison isn’t even in the cards, to begin with. The “comparison” that your competitor’s champion has designed this futile exercise for isn’t honest. It will be unfairly biased in favor of your competitor’s offering. “Ok, 2 percent, not bad” you might think and argue that the work is probably worth so much that it will pay back. Let’s have a closer look at that argument. 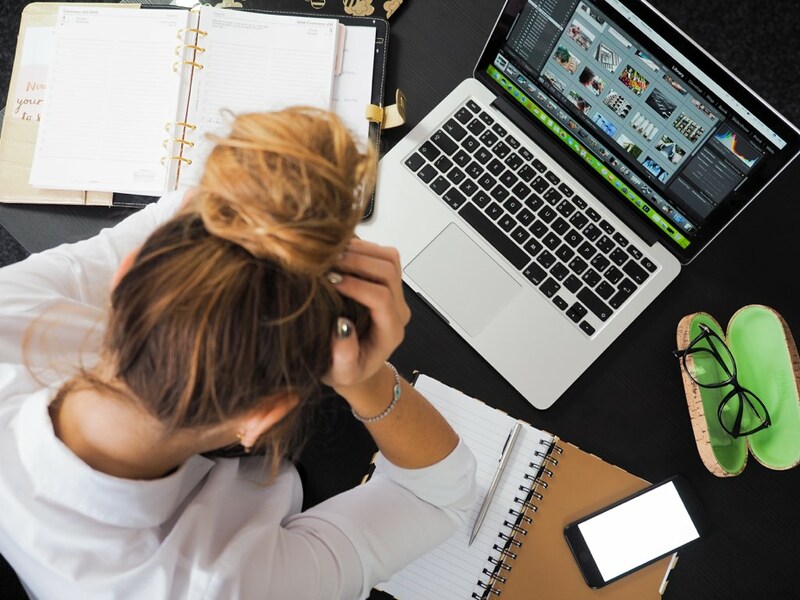 Assuming a 5% chance of winning (way more than the 2% mentioned above), you need to recover 20 times the time spent on the average RFP for every RFP you win to break even. If you spend 60 hours of sales work per RFP, win 5% of RFP bids, then you spend 1,200 hours of sales work per won RFP. 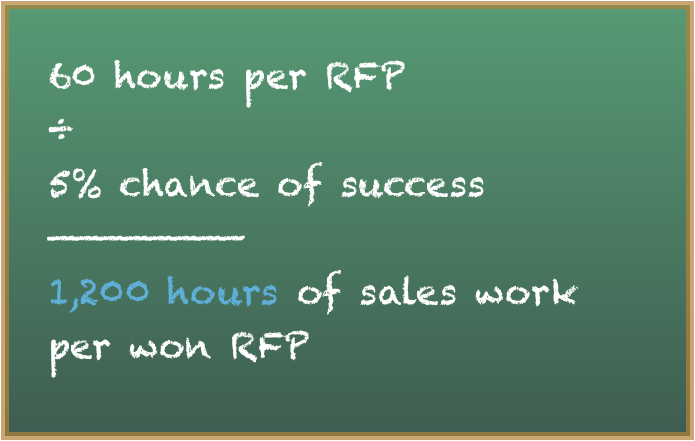 If we assume you spend 60 hours per RFP on average, then there are 1,200 (60 * 20) hours of sales work to recover for each won RFP. That’s almost 8 months of work. If you pay your salespeople on average €8,000 per month (total salary cost, not considering bonuses), that’s an additional €64,000 in profit each RFP-born project must generate to bear its own sales cost. If we go with the more realistic 2%, the number is 60 * 50, or 3,000 hours. That’s more than a year and a half of sales work or €152,000 in actual sales staff salary cost per won RFP! Answer these 13 questions before you decide to pursue an RFP that has suddenly landed on your desk or in your email inbox. What is the estimated potential revenue? Is there a key driving force causing the buyer to take action? Can the customer get money for the project? Have you established the buyer’s needs? Does the customer have a vision for a solution? Is our offering matching the customer’s needs? Does our offering include unique differentiators? Can we demonstrate our unique business value? Does the person who sponsors this project have a highly prioritized pain (i.e. is losing a lot of money or is subject to extreme risk)? Is there access to this person? Can we prove the value of our offering? Is there any risk related to this opportunity? What is the tactical and strategic value of winning this? This is an abbreviated and simplified version. I strongly recommend you buy the book for the full list and the entire chapter on assessing RFP opportunities in a clear-headed fashion. It’s a fantastic handbook if you’re serious about improving your sales effectiveness. Go or no-go. Either way, make a clear-headed decision. Pursuing RFPs, as you can see, is frequently a fool’s errand. But not always. I can recall many times in my career where winning an RFP bid was the starting point of a profitable and fun client relationship. The trick is to tell different RFPs apart and determine when you have a fighting chance and when you’re just a column in a spreadsheet. And when you do engage, do it with a plan. 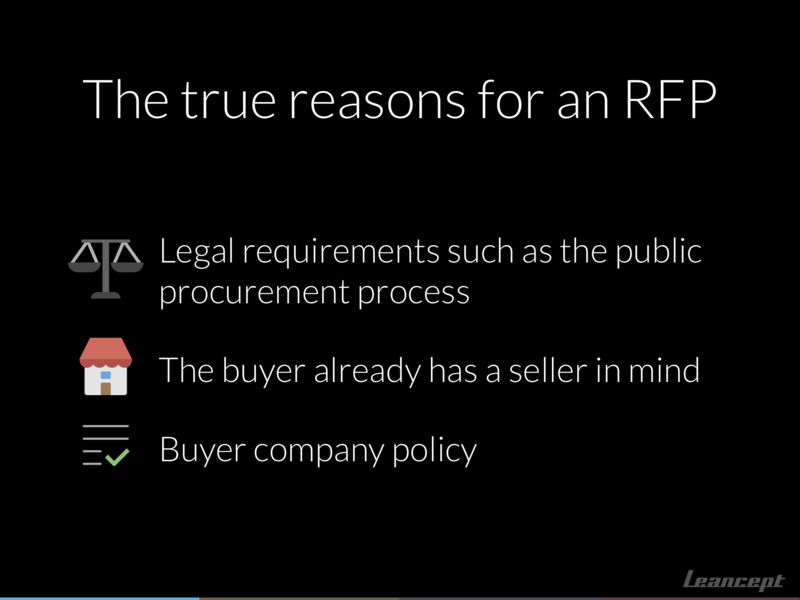 The true and actual reasons why companies issue RFPs: legal requirements, column B fodder, and company policy. 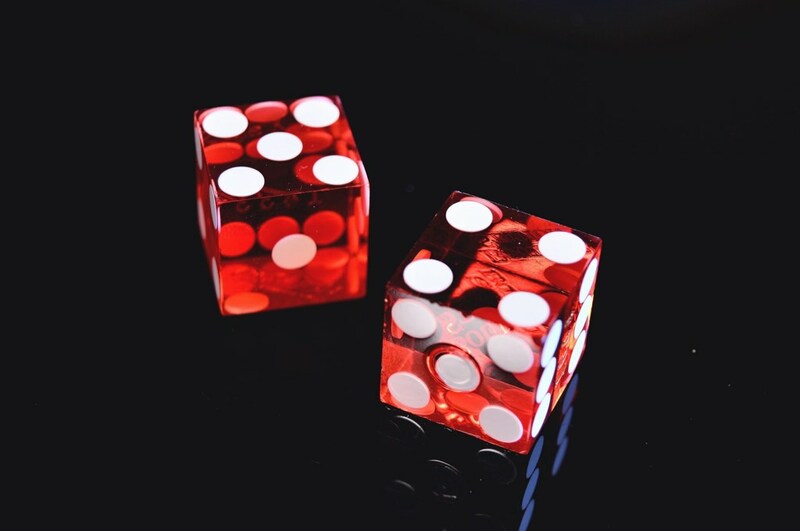 If you, despite all these grim mathematical facts, decide to pursue RFPs there are some things you can do to influence the odds of winning in your favor. As you recall from our series on value-based selling, sales conversations are used to create a vision. The requirements are consequences of the vision and the capabilities it calls for. The requirements you find in RFPs were, thanks to the champion’s efforts, designed based on a vision you weren’t part of creating. That vision is based on a product with capabilities other than yours. To get a fair chance when responding to an RFP, you need to build an alternative competitive vision. If you can’t build an alternative competitive vision, don’t bother with an RFP. Send a letter to the sender. In the letter, state that it will be impossible to respond to the RFP without the 3 one-hour interviews. The interviews should be with named individuals, persons you have identified based on the RFP. Attach marketing and sales material equal in length to the RFP. The purpose of the material is to show the depth of what you have to offer. You want to emphasize the difficulty to respond without knowing more. When the prospect (sender) calls or gets in touch, restate the quid pro quo offer. If they seriously want you to offer, or just fill a column (be an alternative to the incumbent), they’ll find a way to grant your request. You need to maintain the position that you will only respond to the RFP if and when the interviews are granted. When the interviews are granted, make sure you ask each line executive you talk to: What are the two primary issues behind the project? This is so you can determine pains to re-engineer their buying vision (for an example see the CRM selling example in our post about sales conversations). You then prepare your proposal as agreed. Instead of just submitting it, write a cover letter to the person controlling the RFP. Refer to the executive summary and how it documents the buying vision and addresses pain points expressed in the interviews. In the executive summary, highlight your key capabilities. This is so you can point to the differentiating capabilities that your product possesses. These are the differentiating qualities which you confirmed during the interviews. It’s important to emphasize how important your differentiators are for the buyer in solving their business problems. If you can quantify a negative impact of not choosing your product, that’s even better. Finally, copy the cover letter and RFP and send them to the line executive that you interviewed and with whom you had the best rapport. 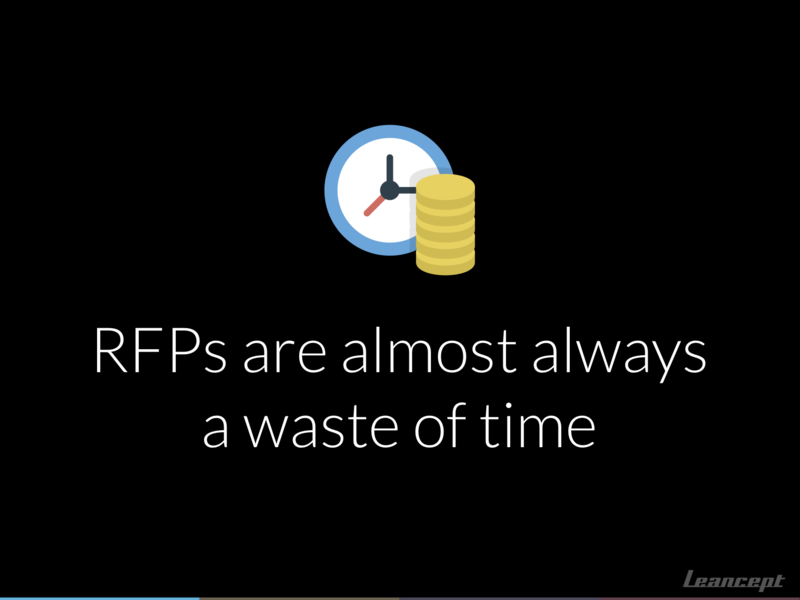 Not all RFPs are a waste of time, but most are. It’s wise to learn how to tell the difference. I hope you’re not promising to swear off RFPs after reading this. Not all RFPs are inherently bad. But it’s important to tell when an RFP is honest and when it’s just intended to generate column fodder. I recommend using your gut feel to tell when a project seems worthwhile and fun. Chemistry and shared sense of purpose often go a long way. Couple it with the technique above (for best effect, buy the book) and you’ll be vastly better at determining which category an opportunity falls into. Got questions about RFPs or selling in general? Don’t hesitate to post any questions you might have in the comment section below.